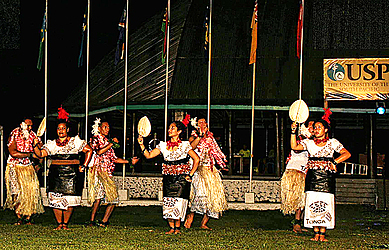 A culture night was held at the University of the South Pacific’s (U.S.P.) 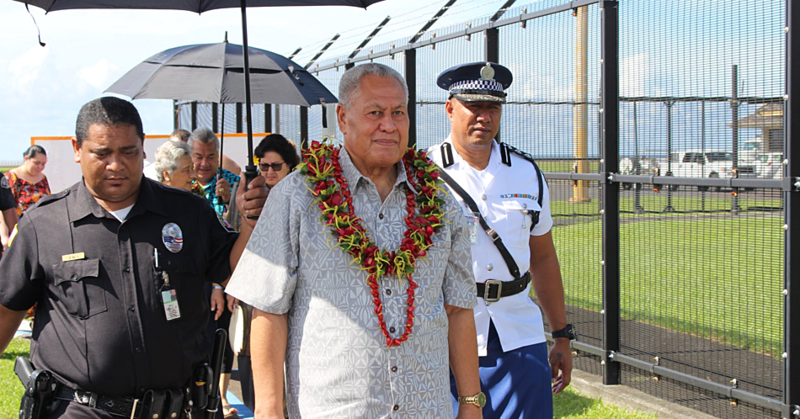 Alafua Campus on Friday to mark the closing of the university’s 50th year anniversary. Eight pacific countries performed on the night, showcasing various cultural dances. They were from Tonga, Vanuatu, Tahiti, Fiji, Samoa, Tokelau, Cook Islands and Solomon Islands. There were two outside performers invited to kick start the night of performances. 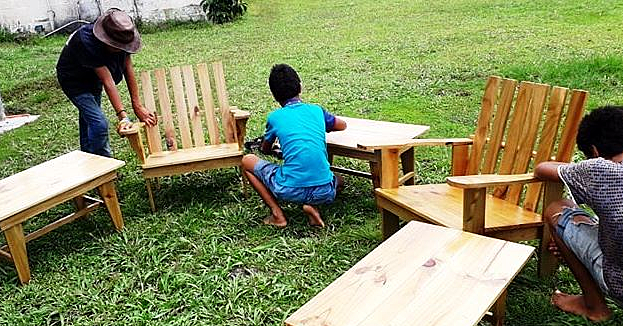 Samoa Performing Arts and Creative Excellence (S.P.A.C.E.) from Fugalei performed first followed by fire dancing from Siva Afi. There was also a poetry reading by a member of the alumni, Jenny Bennet. Coordinator of the culture night, Ronna Lee shared the significance of the culture night for the celebration. “The main point is that U.S.P. is a regional university and Alafua Campus has students from all around the region." “The culture night highlighted this with an array of items by students from various Pacific countries who all study in Alafua Campus. It was a night which brought together all the Pacific students as one people." “I also worked together with the U.S.P. Student Association president and country representatives to put together the evening of cultural performances to conclude the week activities." The President for the Samoan Student Association, Howard Paulo said it was a night of fun. “We were preparing right around the time when we had exams and our schedules were very tight, but at least we put in so much effort in preparing and it came out as the best celebration, even though it was limited time but our sacrificed time was all worth it,” he said. The second year student majoring in Agriculture studies also highlighted the importance of the event to him as a student. “To me as a student of U.S.P., it has great distinction from local universities. It all comes down to the quality of education and the benefits it greatly has on assisting the lives of the students." “Another advantage is the chance to associate with other sisters and brothers from other Pacific countries." Lastly, he said he really appreciates the performances from other countries especially their culture displayed through their dances and their traditional wear. 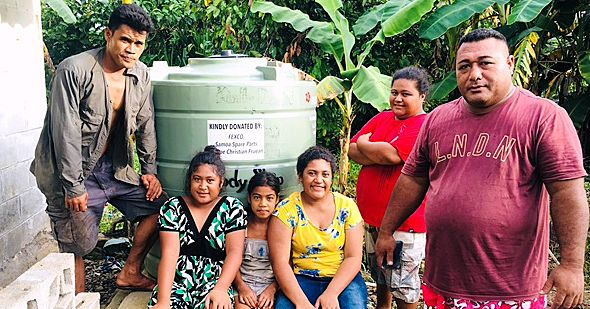 “It was just brilliant, quite colorful too but we also promoted our Samoan culture to them and so that was really worth all the efforts and preparations." “I truly believe that each Pacific country has a unique culture and we should all be proud of our own heritage as Pacific Islanders." “As a leader I tried my best to budget the times and schedules and lead in organizing these events,” he said. The culture night is an annual event hosted by U.S.P. as part of their open day.